So, if you enter by April 30th, you will received the Early Bird discount ($15 off and 10 complimentary regatta drink tickets). AND, if you are a skipper returning from SBRW 2018, you may also deduct the $25 SBRW Loyalty Discount from your entry fee – a total of $40 off. Why sign up for FBYC's Crew Training Seminar? Share the news! Invite your friends to attend! 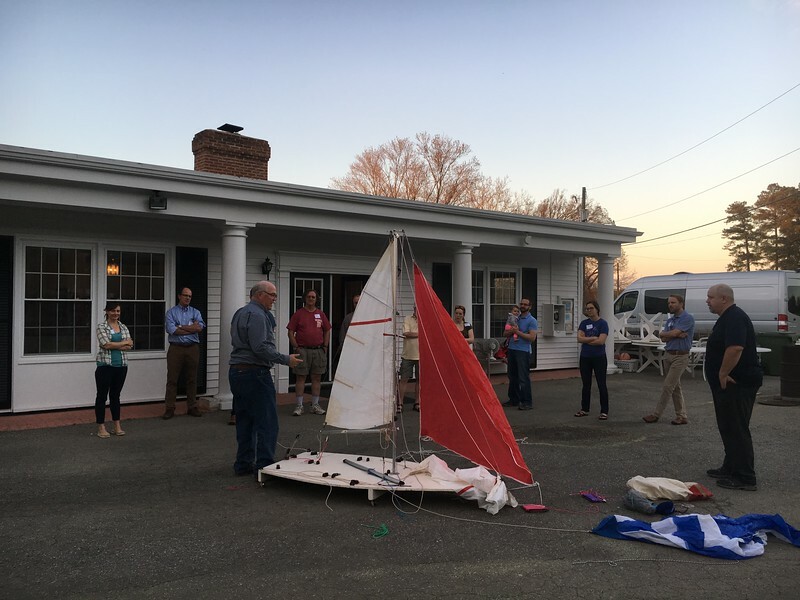 There's loads to learn and new sailors to meet at FBYC's crew training seminar this year. 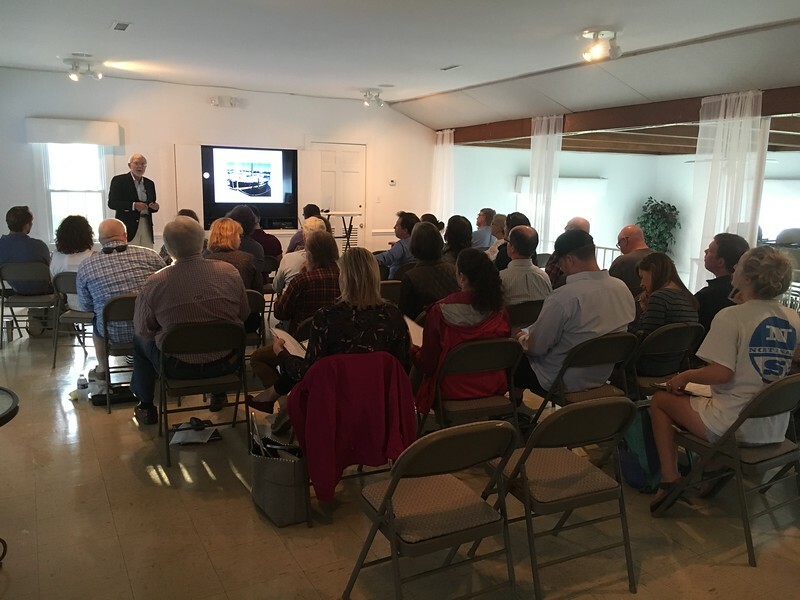 Classes are Tuesdays, April 2, 9 and 16 and will be held in Richmond. The on-water sessions will be April 28 and May 5. Learn all the details and enroll at the FBYC.net Event page. Spring is just around the corner and that means it’s time to dust off your sails and find your foul-weather gear… because another sailing season is blowin’ in! What better way to celebrate the new season than inviting some new faces to the party. The 2019 Crew Training course is open and ready to have some fun. Holly Fuller and Lauren DeSimone are the co-facilitators, along with a host of skippers and crew who are so graciously willing to share their wisdom and time helping new crew learn the ropes. If you know anyone who is interested, please send them to the Crew Training webpage. Help us promote the course by sharing a post from FBYC on Facebook. There was some windy racing in the Piankatank for the final offshore fall series race day. Results, Pictures and Video are posted. Fall is here! This is the forecast for Saturday. Moderate wind that shifts some and gets better. RC will be ready to adjust marks to suit. Comfortable temperatures. You could be sailing in this! We still need volunteers to help out during this weekend's Stingray Point Regatta. Please sign up by clicking here today! Stingray Point Regatta Early Bird Registration Ends FRIDAY! We are in need of bartenders & ticket sellers for Friday & Saturday of our Stingray Pint Regatta. Please sign up for these hospitality positions online by clicking here. If you haven’t filled your volunteer commitment for 2018, this is a fun way to do it! Please visit the event page by clicking here for additional information about the Stingray Point Regatta! Have you signed up for the 24th Annual Stingray Point Regatta? It all starts with a medium distance race on Friday, August 31st and continues with two days of buoy racing on September 1st & 2nd. We will offer dinner and live music on Friday and Saturday night! You won't want to miss it! Nanuq owned by Glenn Doncaster, and representing FBYC, won Class 6 in the St. David’s Lighthouse Division in the 2018 Newport Bermuda Race Besides Glenn, other FBYC members on board were Alex O’Toole, Austin Power, Bob Fleck, and Jerry Latell. Word was they made huge gains in their fleet the last day and a half of the race. Congratulations to Glenn and Nanuq on an outstanding performance. Have you filled your volunteer requirement for 2018 yet? If not, we need you! The Regatta Committee is in need of volunteers to help with Race Committee for Stingray Point Regatta. The regatta is a three day commitment and will be held on 8/31, 9/1 and 9/2 this year. Positions available are a driver for Mr. Roberts and a skipper/helper for the gate boat. Please contact Becca Doncaster ASAP if you can assist with race committee. I have now migrated almost all our history content to the new website - I ran across one of Jere's history articles describing FBYC's participation in the 1974 Lloyd Phoenix Regatta. Due to fortuitous circumstances, Fishing Bay Yacht Club came back to win the Championship on the last day. There may be some timely advice for our team at the US SAILINGs National Offshore Championship in Annapolis this weekend. This Thursday FBYC members and crew will head to the Naval Academy in Annapolis, MD to compete in the US Offshore Championship on Navy 44s. 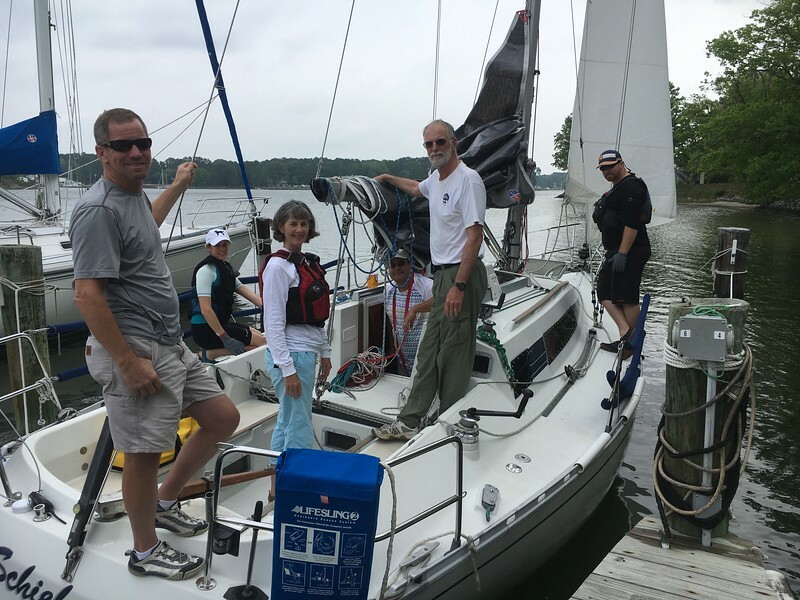 This is the second appearance by the team led by Nanuq skipper Glenn Doncaster. In 2015 the team placed a respectable 4th out of 10 boats. This year the team includes Glenn Doncaster, Bob Fleck, Jerry Latell, Paul Wash, Matt Newborn, Han Kalkofen, and Sloan Burns. Let's support our members as they represent FBYC in the race for the Lloyd Phoenix Trophy! Friday, August 4th...5:55 pm first warning. There are currently 53 entries for this annual event with three points of origin. The southern leg starts at the mouth of the Piankatank and concludes 46.2 miles later in St. Mary's river at St. Mary's college. There are overnight facilities available at the college that can be explored here http://www.cvent.com/d/95qflr/4W and the social, party and catering is a first class affair.